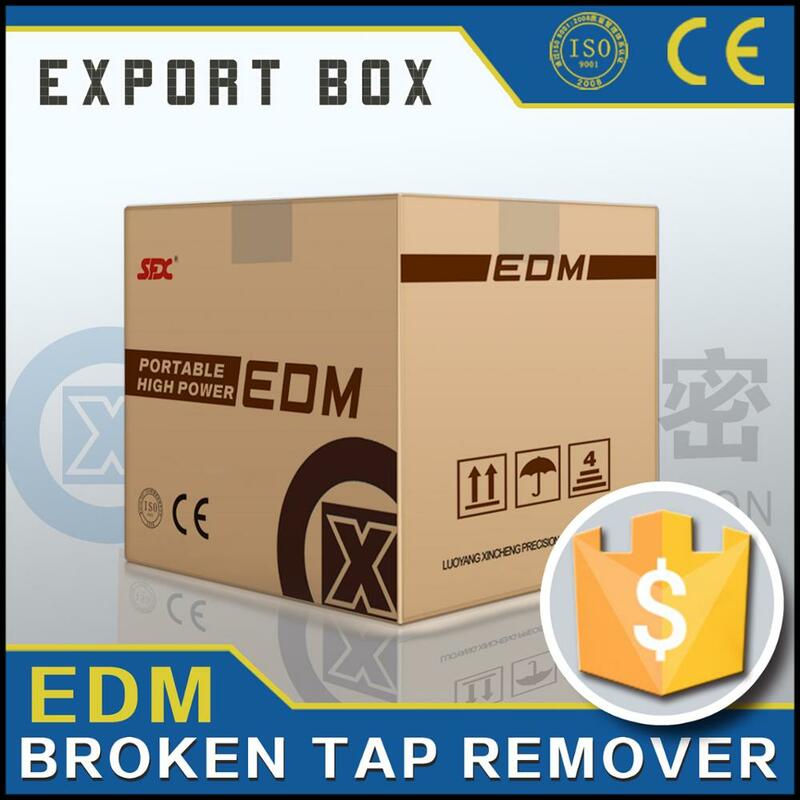 The portable EDM broken tap remover is used for removing broken taps, drills, screws and bolts, etc, which can't be easily drilled by conventional ways. 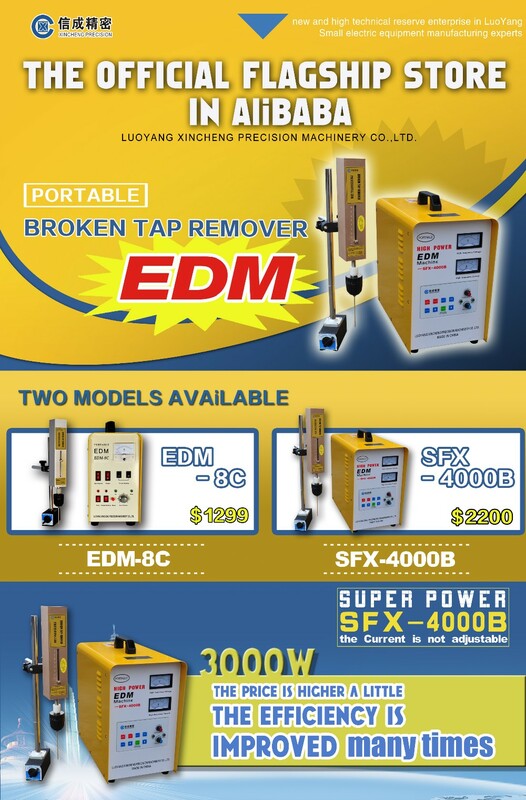 Our patent product portable EDM broken tap remover could remove broken tooling without any damage to the workpiece, and it could also be used to mark and process non-precision holes on metal. Our product will have to go through a thorough quality exam process to ensure that our devices won’t have any glitch before delivery. we have a professional quality inspection team to assure the product quality. 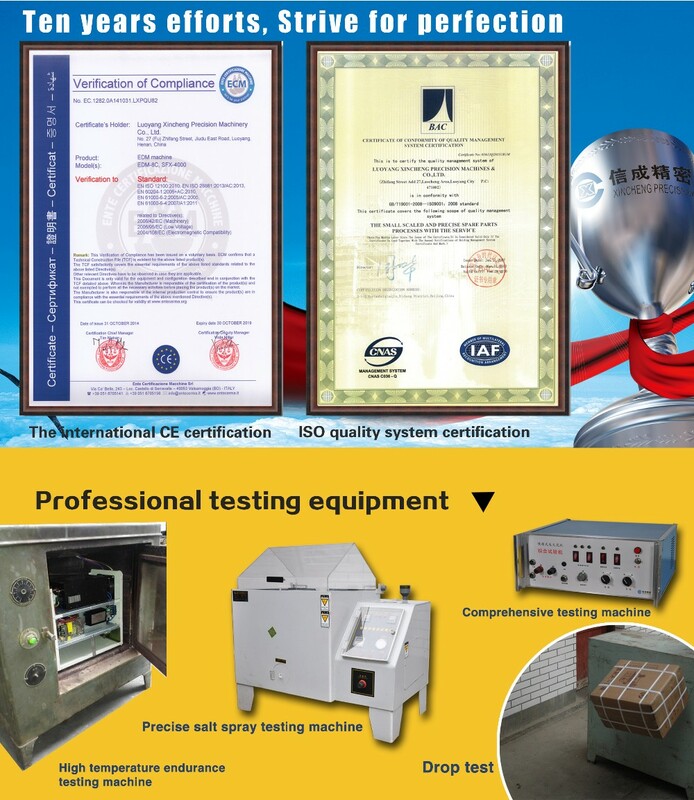 And all products have been passed CE and ISO 9001-2000 certification. 1.Will your machine could operate on 110V/60HZ input voltage? 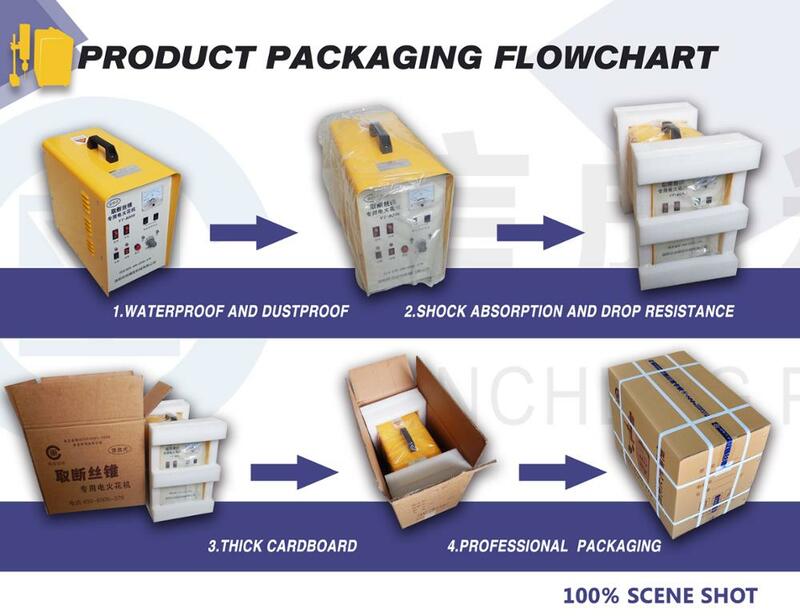 Answer: Sure, the standard equipment is for 220VC+/-10%, 1 phase, 50/60HZ input voltage, but we also have machine with 110/60HZ, you can choose the machine base on your actual demand. 2. Do you offer a pump for through the electrode flushing? 3. If the chucks rotate when they are machining? Answer: The chuck won't rotate while machine operating. 4. What's your delivery method? Answer: The machine will be delivered by internation express such as TNT, Fedex, DHL, etc. 5. What about the delivery time and shipping time? Answer: The machine will be delivered from our factory within 72 hours after the 100% deposit checked, it will be generally shipped to your hand in about 2 weeks. 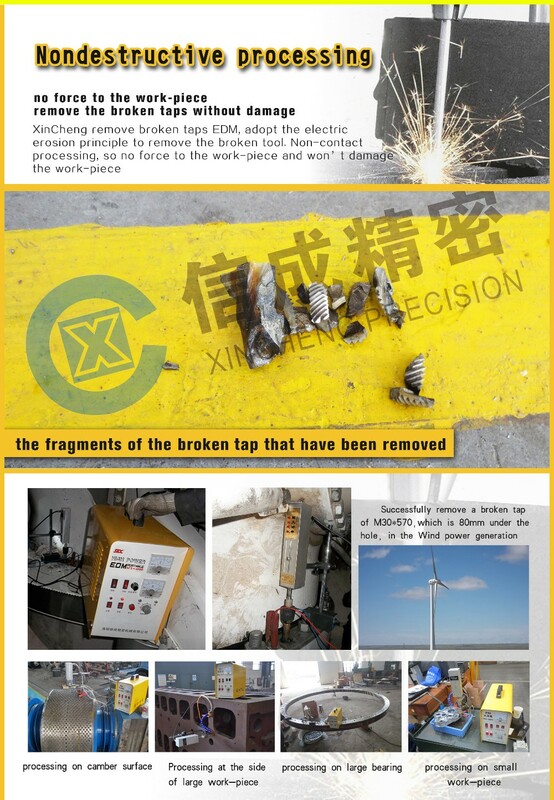 l Secondly, the warranty period is usually around one year and within this time frame, if there are any technical problems, we would repair them for free including the new parts that needed for the repair. 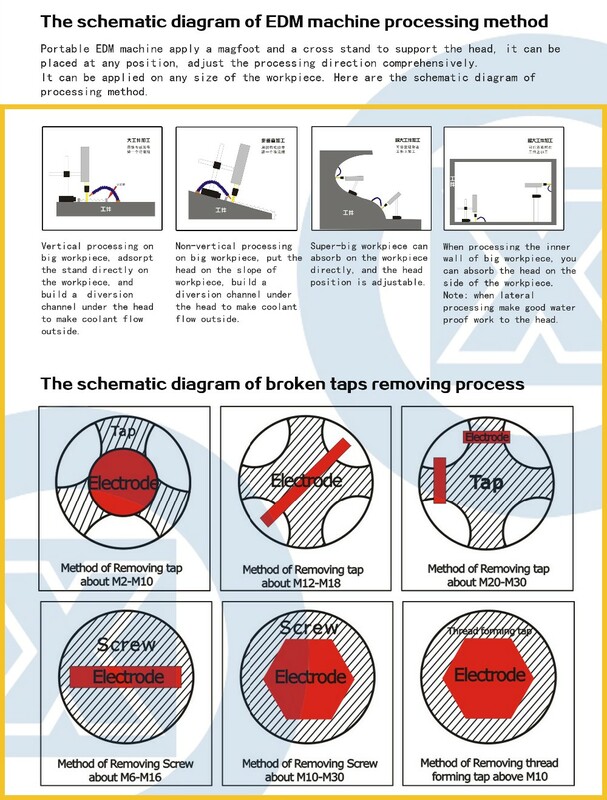 l PS: we would offer free repair only when the damages are caused by technical deficiencies of the product itself, not man made errors, namely, the damages were done by mishandling the machine.